Southend Paintball, Adult & kids Paintball, Laser, Young guns in Essex. Welcome to Southend Paintball, Childrens Paintball & Laser Tag. Welcome to RW Paintball your best choice for Southend Paintball games. 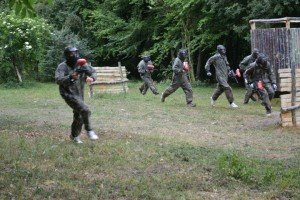 We paintball, Childrens Paintball, Laser Tag games near Southend, Essex. We have 2 sites close to Southend, one just by Wickford and the other at Rochford. Our Rochford paintball site is just 10 minutes drive from Southend. Here, we offer a variety of great paintball games across 7 different woodland playing zones. Game zones include Speedball, Village attack/defend, Fort, Bridge, 2 Flags and The Track. Adult paintball is available to any players over secondary school age. It’s a great game for teenagers and adults and ideal for a celebration or day out. Prices start from just £10.00 per player. We also have a range of cost effective packages to to ensure you day out doesn’t break the bank. Why not contact us on the number above for more information. At RW Paintball we also offer Childrens paintballing. This game is specifically for 8-11 year olds. Kids paintball is great fun and really gives them the high adrenalin feel of paintball whilst keeping them safe. This is done by slowing the game down using special low impact paintball markers. More info on kids paintball at Southend can be found by clicking here. Southend Paintball is open most weekends. We can even open for larger groups and corporate paintball days during the week upon request. Looking for Paintball, Childrens Paintball, Laser Tag in Southend then talk to us first! Here you will find directions to the Rochford site. If you need to find Wickford/Basildon please click here. If you are coming onto the A129 after turning off the A127 you will find yourself driving through Rayleigh town center. Keep to the center lane until you reach a fork in the road where the one way system begins. Make sure you take the left fork sign posted to Hockley. After about 2.5 miles you will come to another fork in the road with a pub called The Spa in the center. Take the right hand fork onto the B1013. Keep right on this road for about another mile until you see the potash Garden Centre on your right. Drive past the Garden Centre for about 1/2 a mile and you will see the entrance to the Site on your right and marked ‘National Paintball Games’. When you come through the gate please leave your vehicle at the top in the area provided. The reception area is about 100 yards away. Please do not park on the driveway leading down to the reception area. 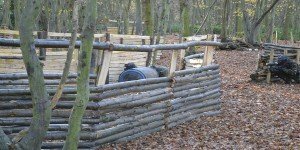 This site is one of our Essex Paintball sites. It can also be found on our things to do in Southend page.